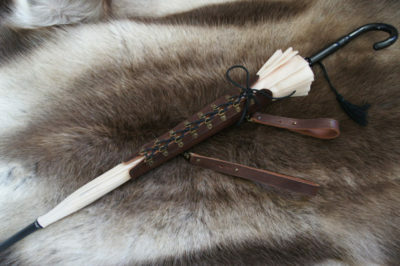 Couth and Nail: Unique Jewels. I have for you a jewelry designer who specializes in the unique and slightly macabre when it comes to jewelry. She had her work purchased for the tv show Winona Earp and creates some really interesting pieces to sell. 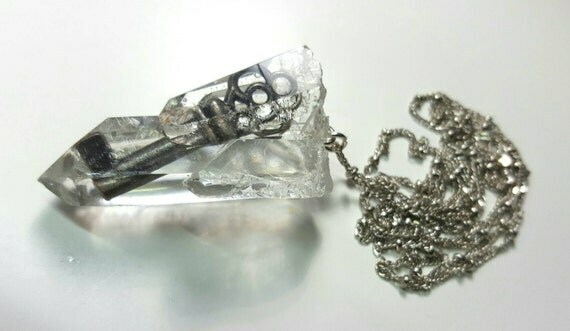 Skeleton key encased in quartz. 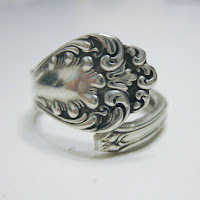 She started making interesting jewelry and trinkets out of leather and fabric for friends and family and then moved into making things out of metals, gemstones, wood and the remains of small insects and animals. All of her materials, however, are responsibly and ethically sourced and collected, and that means that her pieces are unique and that the same item may not be available at later dates. I absolutely love the little touch of darkness to her work combined with the delicate flowers, the sparkle of gold leaf, or the shine of gemstone. It is such a beautiful and unique combination that you don’t see anywhere, and that will set her pieces apart from others. 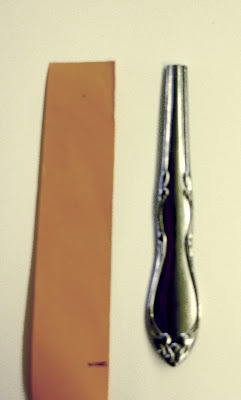 A mink’s tooth set in a wristwatch – inspired by Victorian mourning jewelry. She has so much to look at and she keeps producing all kinds of new things. You can peruse her wares available now at her Etsy shop, and you can also find photos and keep up to date with her latest creations on, Pintrest and on Facebook as well. Check her out. There’s lots of stuff to look at from the dark to the light. Not only does she work with bones and small animals, but flowers as well. 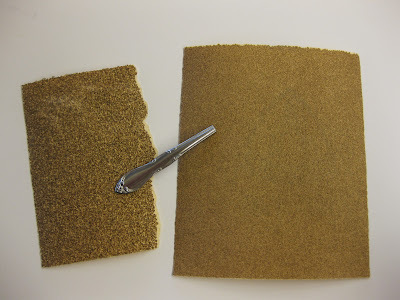 Once you have your image, you can trim your tissue to the size of your cardstock and tape it down so that you can print on the tissue without it breaking apart. Print your image in the direction you would like it to sit on the candle – so if you want to read horizontally across the candle, you’ll need to print in landscape. You can now wrap the tissue paper around the candle – you can do this ink side down, and trim the ends so you don’t have overlap and you don’t have any tissue hanging off the edges. Use a push pin to hold everything where you want it to stay. Using your hair dryer, you want to heat the candle all around so that you melt just enough wax all the way around for the candle to grab the paper. It shouldn’t take long and you’ll notice when the paper starts to stick. And that’s it! Pretty simple and easy huh? 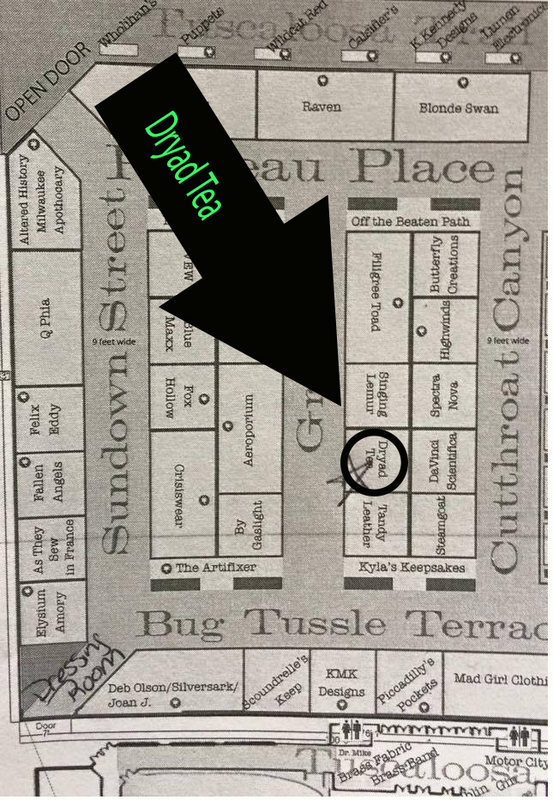 For the steampunk in you, you can print out blueprints and old DaVinci schematics. You can do this with texts from Shakespeare, poetry verses, song lyrics, even photos. Whatever your imagination can print! As soon as I walked past Explorium’s table at Dublin Comic Con, I immediately fell in love and knew I had to feature them. Steampunk, wood, geekiness- Explorium has everything that I love across a broad fandom based all wrapped in shiny pretty steampunk facades. Self described as a “timeless universe,” Explorium has a beautiful vintage and steampunk feel. Not all of Emeline’s work attaches to a fandom, so they have a broad appeal to anyone who loves this aesthetic. When she does bring fandoms into her work, I love how it isn’t always blatently obvious. You could wear her pieces with everyday clothing, knowing only those who knew would understand how amazing the pieces are. I’ve always loved being able to wear my fandom incognito. Explorium also does wonderful book-related art, with quotes and imagery from the likes of The Fault in Our Stars and this necklace from Alice in Wonderland. 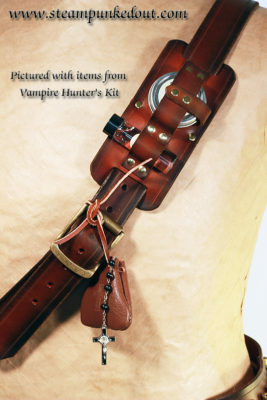 And if you love her pieces but aren’t quite sold on wearing the steampunk vibe, then check out her gorgeous notebooks. They’re decorated in the same vein, and make me wish I used paper enough these days to justify picking one up. 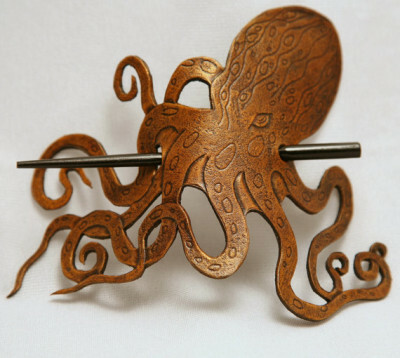 Explorium’s creations are beautifully crafted with just the right amount of whimsy. If you are interested in seeing more of Emeline’s work, you can find her on Facebook and Pinterest. Last year, I got engaged, and one of the things that I did not do was get a new ring. 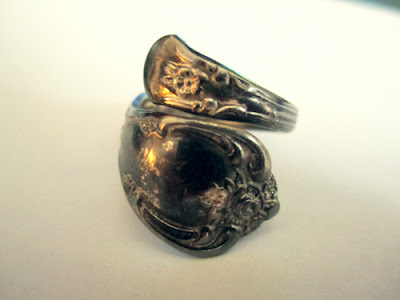 I had inherited my great-grandmother’s ring, which I loved, so we saved a little money by just using that. Naturally, this hasn’t stopped me from looking at the paths not taken (after all, my bank balance doesn’t cry just when I look, right?). Some of what is out there now is just spectacular with big rocks and beautiful metalwork. 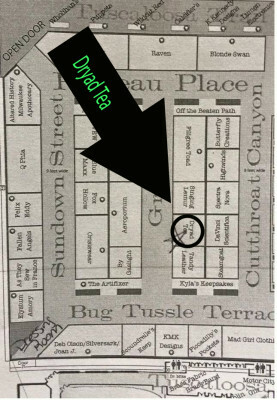 But some of it has just the kind of quirky sense of fun that I really adore. 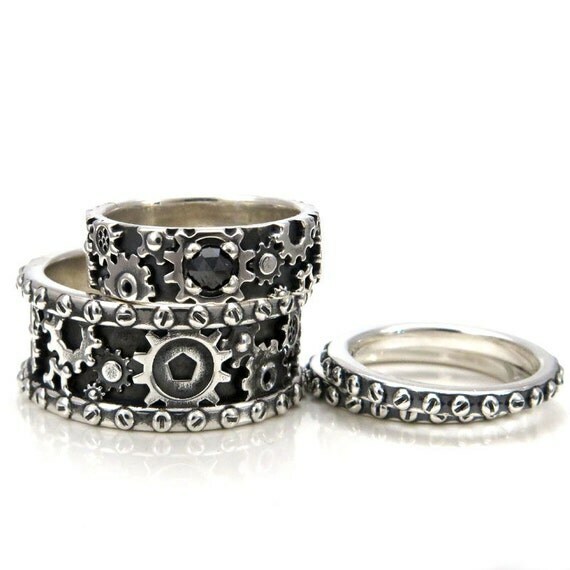 Whether your Steampunk aesthetic lends itself to the delicate filigree or to the heavier industrial side, there are rings for everyone out there right now. 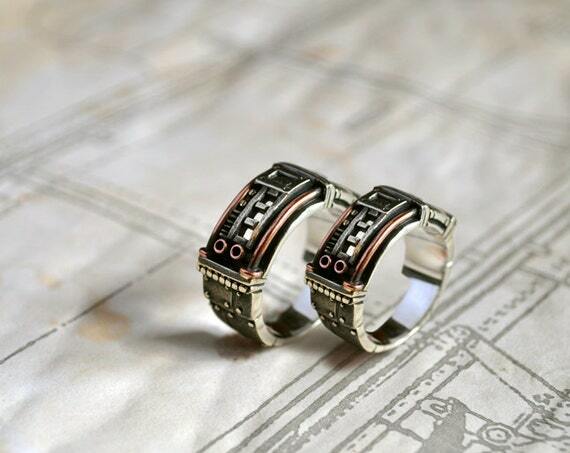 There are even matching sets for the Steampunk couple. 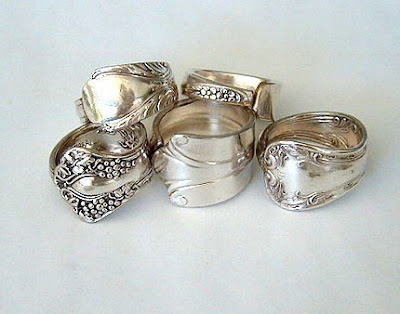 For those looking for truly one-of-a-kind rings, have a look at these. I love the details of the rivets and screws that have been tightened, but don’t all face the same way. Little details like that make it so unique and interesting. 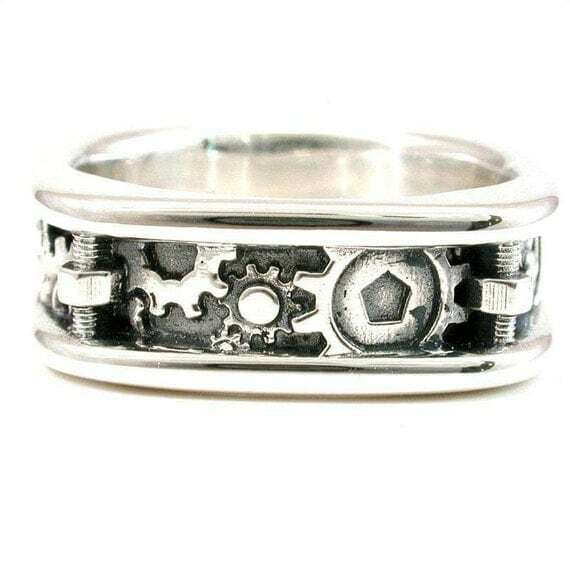 GatoJewel also makes incredible rings, with a more futuristic or Dieselpunk slant to them. I love the mixture of metals and colours that GatoJewel works with to bring the Steampunk feeling alive. 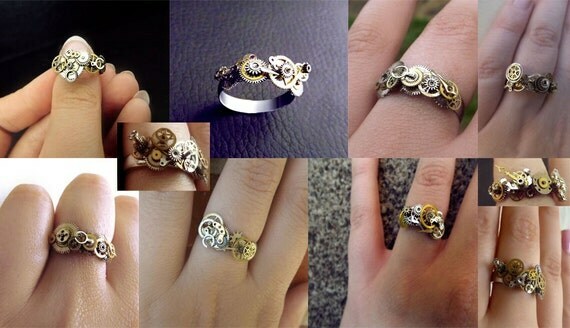 It gives the rings a depth to them. I love the delicate intricacies of the gears in these. 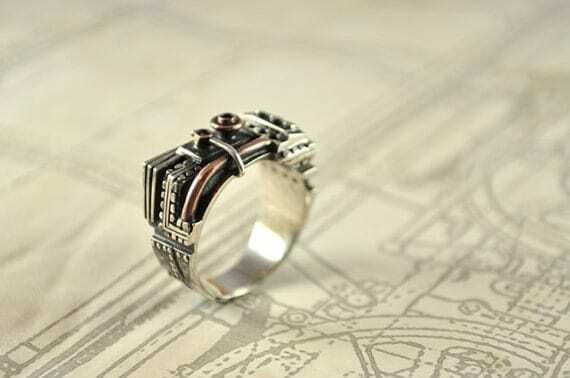 Steampunk rings are just possibly the coolest things ever. 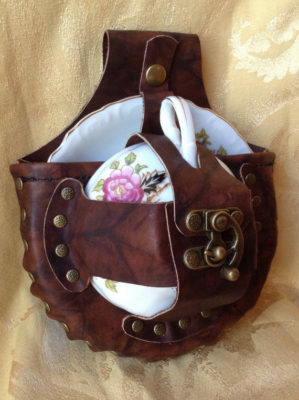 They have all the elegance and charm that steampunk usually has, and allows you have something that is completely unique. Now I just have to convince my fiance that some of these are a good idea…. It’s beautiful, practical, and just amazing. R.H. Mardigan Enterprises creates beautiful steampunk inspired accessories, but the Tailor’s Assistant has the added bonus of being incredibly useful. 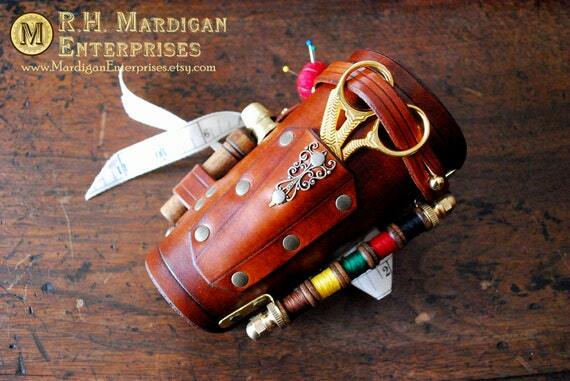 Unlike many costume accessories, this is fully functional. Everything comes off and can be used. It has a needle case, thread bobbins, scissor holder, thimble, pincushion, and it is all tied together with ribbon that doubles as a measuring tape. It brought back for me the age old question of “how do you keep all your favorite tools on hand?” when it comes to crafting. For those of us who sew, this can pose interesting problems, as there are a myriad of small, difficult to keep track of, items like needles and pins, in addition to all those other pesky things like clamps, thread, thread cutters, and of course your favorite pair of small snip scissors. If you have the luxury of working in your own space all the time, this doesn’t become too much of an issue. You can organise your space and the various items you need regularly. However, if you don’t have that luxury, or if your crafting space is shared with, let’s say, your other half or (heaven help you) children, then you’ll know that this isn’t necessarily the easiest task. When I worked in theatre, it was usually in a costume shop. When you’re in a place like that and especially if you’re as protective as I am about your tools, you quickly learn that if you want to bring in your own tools you need a way to keep them with you at all times lest they go… missing. (I’m not saying it was you, Linda, but I did really like those stork scissors) Even when they don’t go missing, sewing large projects can mean a lot of movement as you shift from cutting to sewing and back again. My solution was simple, but I tried to make it pretty (although nowhere near as gorgeous as The Tailor’s Assistant). Every pair of scissors I own bears a ribbon tied around their handles. My prized tailor tips have a much longer ribbon that extends over my head, making it possible for me to always have it, no matter where I move in the room. This solution is both handy, and unique. Even when others in the shop began doing similar, we all chose different ribbons. This also meant that instructing new roommates and partners not to use the “good” scissors became simple (which, considering my set came direct from Gingher at a pretty penny was something I have always been concerned about). They can use any pair of scissors that don’t have a ribbon on the handle. Simple, effective, and it looks well. This solution can work for other items as well. My Clover travel thread cutter has a silver elastic string, making it function as a flexible necklace as well as preventing it from slipping away and being lost. 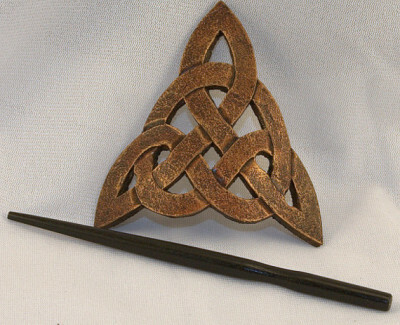 But it doesn’t fix the issue for many of the other little items that I’d like to have with me and I’m constantly having to backtrack across the room for my pins or a new needle, or whatnot. How do you organise your favorite tools or do you? 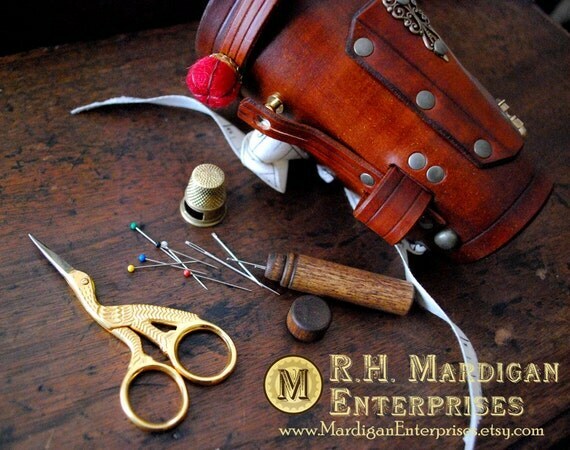 For those interested in a Tailor’s Assistant of their own, R.H. Mardigan Enterprises can be found on Etsy, Facebook, Instagram and Tumblr.